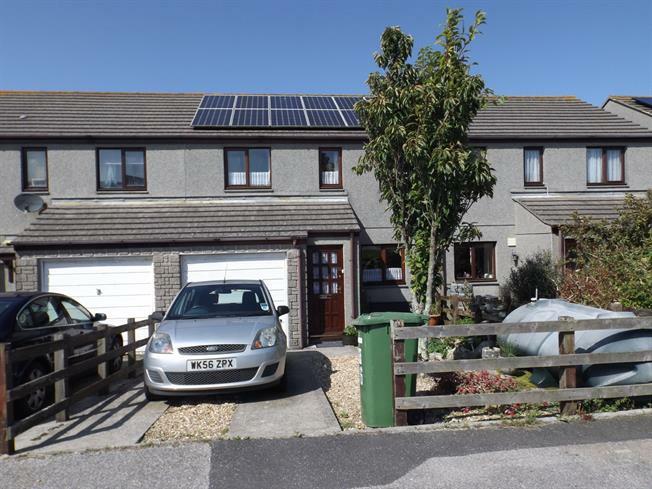 3 Bedroom Terraced House For Sale in Penzance for Fixed Price £185,000. Spacious three bedroom house. Accommodation comprises of Kitchen, Living room and conservatory on the ground floor with three good size bedrooms and a bathroom on the first floor. Outside you will find front and rear gardens and a garage. Wooden front double glazed door. Double glazed wood window facing the front overlooking the garden. Radiator, built-in storage cupboard. Built-in units, stainless steel sink, integrated oven, integrated hob, overhead extractor, space for dishwasher, space for. UPVC double glazed door. Double glazed uPVC window overlooking the garden. Double glazed wood window with frosted glass. Radiator. Standard WC, panelled bath, shower over bath, pedestal sink.